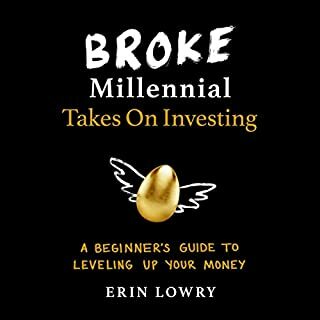 In this second book in the Broke Millennial series, Erin Lowry answers questions and delivers all of the investment basics in one easy-to-digest package. Tackling topics ranging from common terminology to how to handle your anxiety to retirement savings and even how to actually buy and sell a stock, this hands-on guide will help any investment newbie become a confident player in the market on their way to building wealth. Managing your money is like going to the dentist or standing in line at the DMV. Nobody wants to do it, but at some point, it's inevitable: you need to clean your teeth, renew your license, and manage your finances like a grown-up. Whether you're struggling to pay off student loan debt, ready to stop living paycheck to paycheck, or have finally accepted that your Beanie Baby collection will never pay off, tackling your finances may seem intimidating. But it doesn't have to be. By approaching personal finance as a game, it can not only be easy to understand, but it can also be fun! If you graduated from college but still feel like a student...if you wear a business suit to job interviews but pajamas to the grocery store...if you have your own apartment but no idea how to cook or clean...it's OK. But it doesn't have to be this way. Just because you don't feel like an adult doesn't mean you can't act like one. And it all begins with this funny, wise, and useful book. 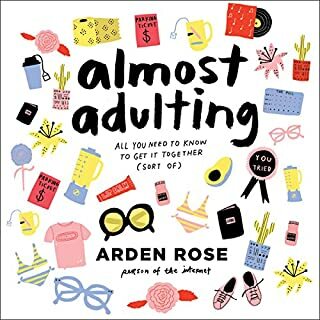 Based on Kelly Williams Brown's popular blog, Adulting makes the scary, confusing "real world" approachable, manageable - and even conquerable. Stop living paycheck to paycheck and get your financial life together (#GYFLT)! If you're a cash-strapped 20- or 30-something, it's easy to get freaked out by finances. But you're not doomed to spend your life drowning in debt or mystified by money. It's time to stop scraping by and take control of your money and your life with this savvy and smart guide. 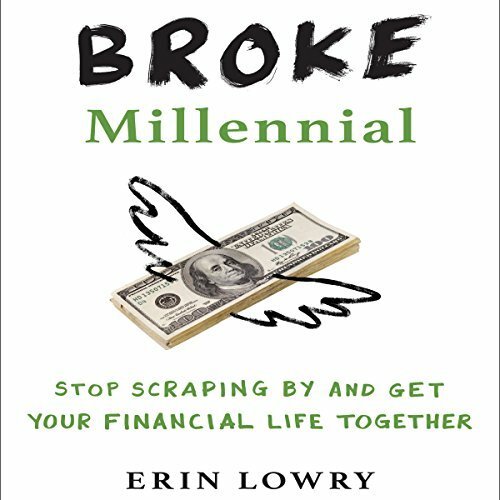 Packed with refreshingly simple advice and hilarious true stories, Broke Millennial is the essential road map every financially clueless millennial needs to become a money master. So what are you waiting for? Let's #GYFLT! i had to get past the authors almost condescending references to "us millenials" and her voice but once I got about 1/3 of the way in I felt i was actually picking up some really helpful tips! 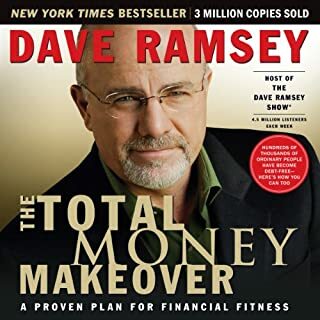 I love this book because it helps me understands finances better and is helping me get a better grip on my financial life which I think EVERYONE needs. Author is very full of herself. Lots of self praising and bragging. condescending tone. Couldn’t continue listening to her after awhile. I really enjoyed reading this book. There was a perfect balance between detailed information and tips on finance as well as millennial humor. Neither aspect overshadowed the other. This book will definitely help me. I plan on gifting it to everyone. Thank you! The good book to understand the financial planning. I have read part of the book. 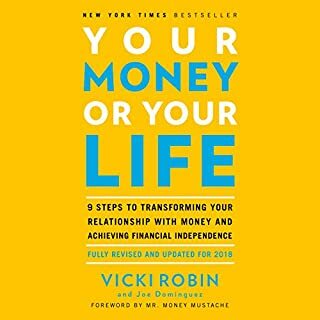 i thought the book was great and informative on finances and inspiring for millenials. overall a good read. 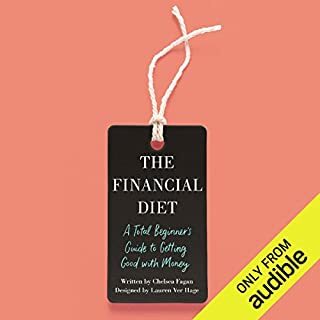 great resource for anyone starting to get their finance in order. easy to listen to. This is the book I desperately needed to start getting my *it together. Detailed and specific without being boring. Offers lots of examples to help you interpret how you can approach your finances. Erin also infuses a healthy dose of goofiness to keep you awake and slightly less stressed out. I still haven’t gotten through all of it because I’m focusing on implementing the first 12 chapters! Sit down. Take it all in. And get honest with yourself financially. 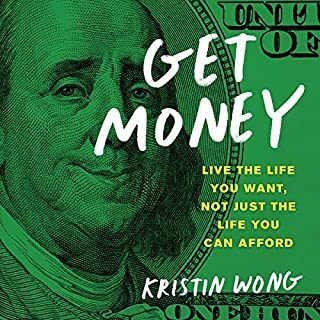 This book will take you step by step how to effectively approach your debt and provide tools and advice on overcoming the daunting negative numbers. Loved this book!